If you are in need of healing, spiritual, physical or emotional healing, come by and visit In His Presence Healing Room and watch God work on your behalf to bring peace to the storm and walk away healed in His presence! Open the 3rd Sunday of each month at 3 pm. Closed Major Holidays. The services are held from 3:00 to 5:00 PM the third Sunday of each month, except for major holidays. You will have time to listen to scriptural truths about healing from God’s Word in an atmosphere of love, followed by a short teaching. Members of the Healing Room will then pray for healing, both corporately and personally. The seminars will open with worship, followed by teaching/preaching from various guest ministers in healing ministry, with a time for prayer for the sick. Dates, times and speakers to be announced on our website, e-newsletter and Facebook page. If you would like to become part of our global prayer network you can visit the Prayer Partner Page to receive more details. 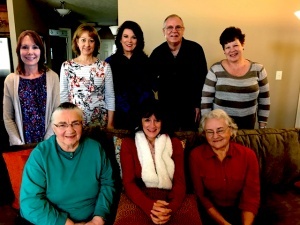 In His Presence prayer team members, directors and advisory board are men and women from a variety of churches throughout the community who have been trained as intercessors and in healing prayer.